1) Preheat the oven to 170C/325F/Gas 3 and line two baking sheets with baking parchment. 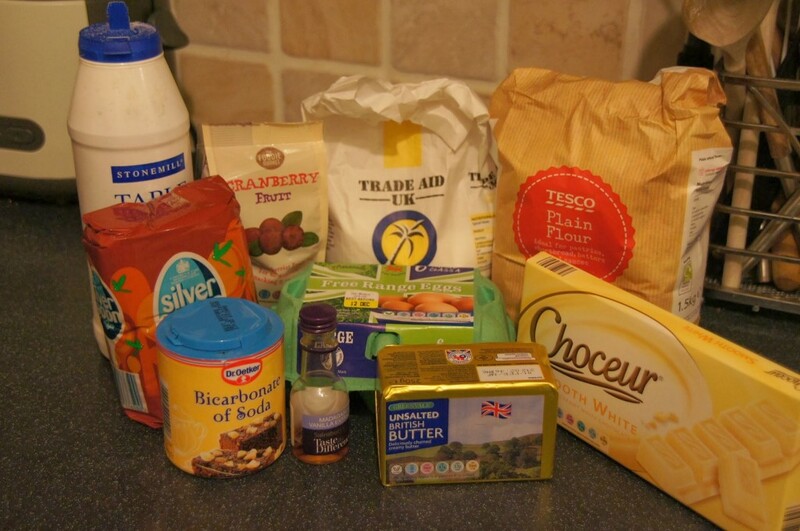 2) Using a hand-held whisk or freestanding electric mixer cream together the butter and both types of sugar. Then break in the egg, mix in the vanilla essence and mix well together. 3) Sift together the flour, salt, cinnamon and bicarbonate of soda, then add to the creamed mixture in two batches (I forgot to do this and added it all in – oops!) mixing thoroughly in the mixer or by hand until a dough forms. 4) Stir in the cranberries and chocolate chips. 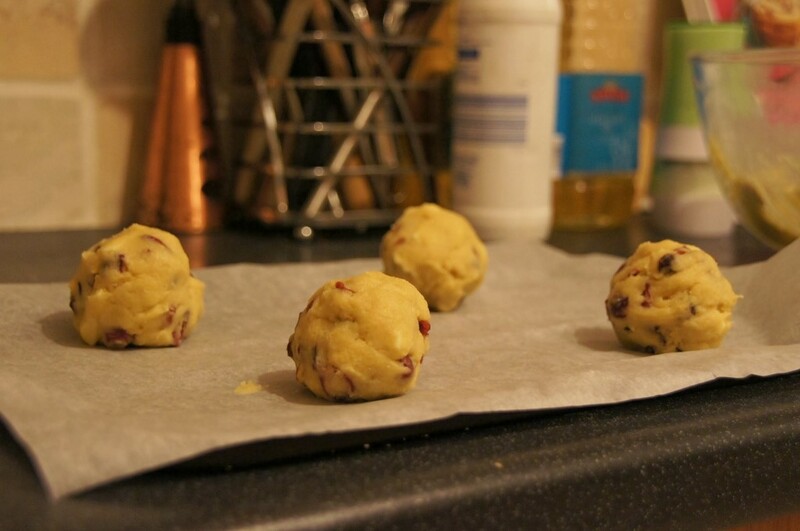 5) Break off pieces of the dough, roll them into balls and place onto your prepared baking sheets. 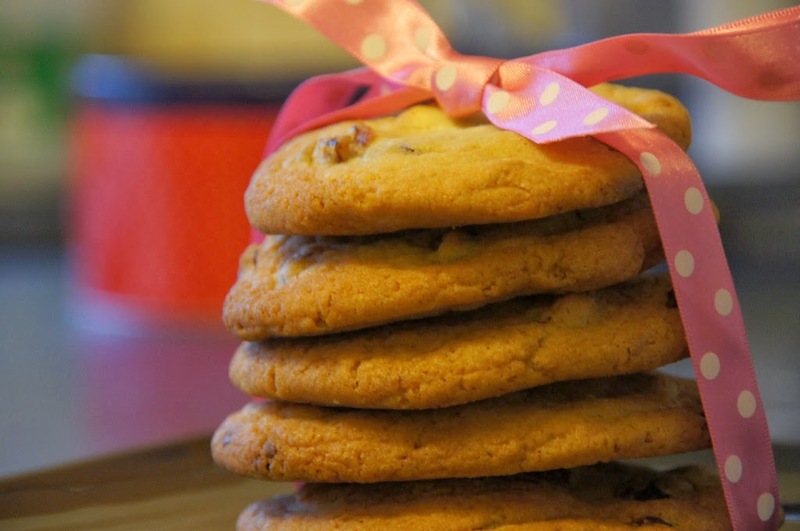 Allow 5-6 cookies per tray (although this will depend on the size of your baking trays), making sure they have space to spread during cooking. 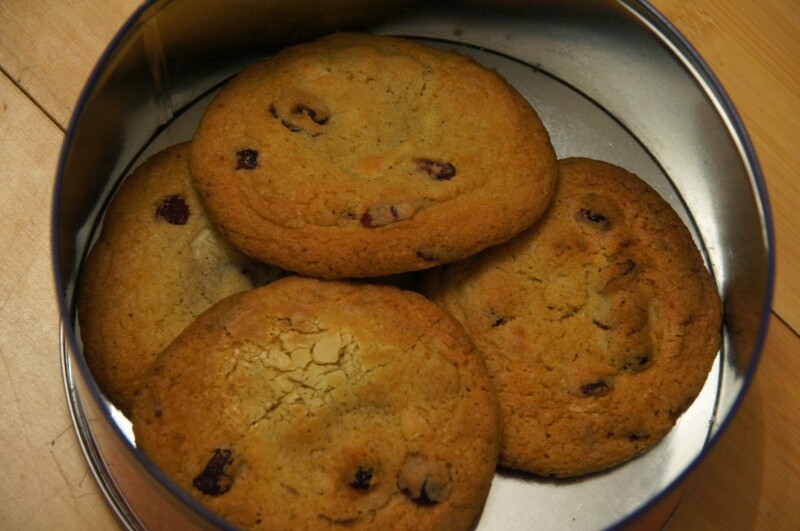 6) Place in the oven and bake for 15-20 minutes or until the cookies are a light golden brown on top. Leave on the sheets for about 10 minutes to cool and set before transferring to a wire rack. 7) Enjoy with your favourite festive drink! Happy baking!